Despite arguably having its consoles' most success in Asia, Sony’s PlayStation Experience has been limited to the United States since its inaugural 2014 Las Vegas event. I know that I look forward to it with anticipation every year, as it brings demos to the hands of players as well as having staged presentations and other activities. This August, Sony Interactive Entertainment Hong Kong will be holding the first ever PlayStation Experience 2017 South East Asia in Malaysia. PlayStation Experience 2017 SEA will bring the games from E3 across the Pacific Ocean, where players can demo Detroit: Become Human, Everybody’s Golf, Far Cry 5, Gran Turismo Sport, Knack 2, No Heroes Allowed!, and other titles that will be announced in the coming weeks. There will be Game Stage Events where developers or developer representatives can show upcoming titles and/or hold giveaways. 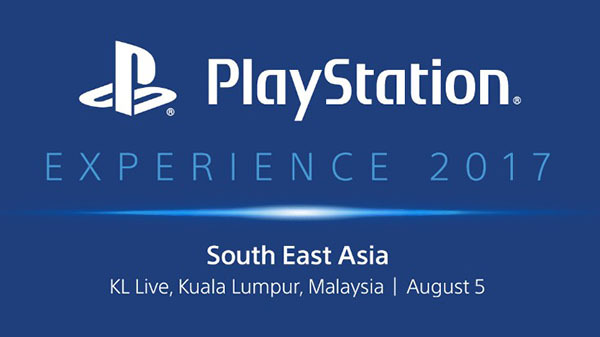 Sony’s first PlayStation Experience South East Asia will be held for one day only, August 5, 2017, in Kuala Lampur, Malaysia. Luckily, the doors will be open for a full 12 hours, so you’ll have from 10 a.m. until 10 p.m. to soak up all of the excellence coming soon to the PlayStation 4 and PS VR. The venue is KL Live at Life Centre, and entrance is free. For more information, visit the event’s official website. I rarely go on vacation. In trying to figure out the longest time we had ever left the cats alone, my spouse and I determined that at most it was four days over the course of five years. We’ve only had to bribe family to catsit on maybe five occasions total over that time, usually only for two nights as we visit family out of the city. But this year, gosh darn it, my family is taking a vacation. Six of us are packing up and going to a cottage for a week. I was excited for the time to unwind. The time to unplug. It turns out, that’s not going to happen… at least, the unplugging part won’t. The first Professor Layton game with a mobile platform launch, Layton’s Mystery Journey: Katrielle and the Millionaires’ Conspiracy is launching on July 20 – a lone day before my travels begin – for Android and iOS systems. Late last week, Level-5 released the first English trailer for the game. I don’t know if a developer has ever waited so long to release an English-language trailer for a game’s Western release when it coincides with the Japanese one, but I’m so happy that it’s finally here that I really do not care about the amount of patience the wait has zapped. But I’m yammering. Here it is, the first English trailer for Layton’s Mystery Journey: Katrielle and the Millionaires’ Conspiracy! Layton’s Mystery Journey: Katrielle and the Millionaires’ Conspiracy offers full offline play after the game’s initial download, although there will be daily puzzles available for download. As always with the Layton series, the game promises a shining story and an abundance of puzzles to solve, with a good dose of humour for good measure. Kat Layton travels around famous London landmarks searching for her missing father, Professor Hershel Layton. For those who would rather play the title on a Nintendo system, the 3DS version will be out in Japan on the same day as the others; the Western version will follow this autumn (spring for those down under). Hidden Dragon Legend is set in Imperial China. Players will need skills in combat, acrobatics, and real-time puzzle-solving to build a fighter. Competing groups are fighting for the Dragon Cauldron, a powerful object that promises inhuman powers at a high price – sanity and reason. The player’s character is put under a spell by said Cauldron and sets out to settle the score after being made forced to kill against his will. The gameplay style is more hack-and-slash, promises much action. Acrobatics play a large part, as players must jump, swim, and grapple through detailed levels. The game promises about ten hours of gameplay, and will be available as a digital download for PlayStation 4 next month. Set in the 1970s, Serial Cleaner has the player take on the role of... well, a serial cleaner. Your job is to clean up the mess left behind by serial killers and mobsters; this task includes disposing of bodies, covering up evidence, and hiding weapons. Some crimes are based on real life events, which is what perks me up the most (sorry films, true crime trumps you!). Of course, police evasion is critical: you don’t want to be caught in the act of cleaning, or you’ll look guilty as sin. In addition to the story mode, there are challenge modes that up the ante by making things incredibly difficult. For example, one challenge changes the visuals to make it appear as though Cleaner is drunk.